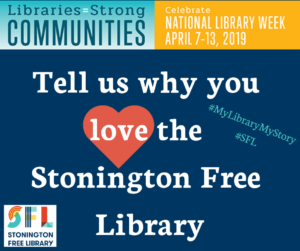 National Library Week – What do you love about Stonington Free Library? There is so much to love about our library! Check out our programs.